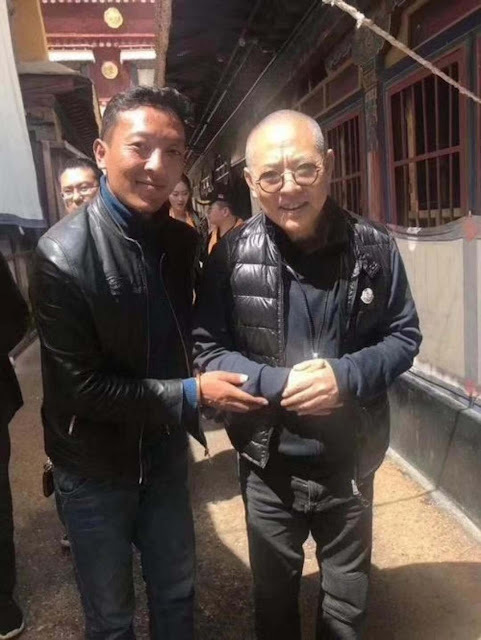 Jet Li recently became the cause of public concern after a shocking picture of the legendary action star visiting a temple started going around the internet. 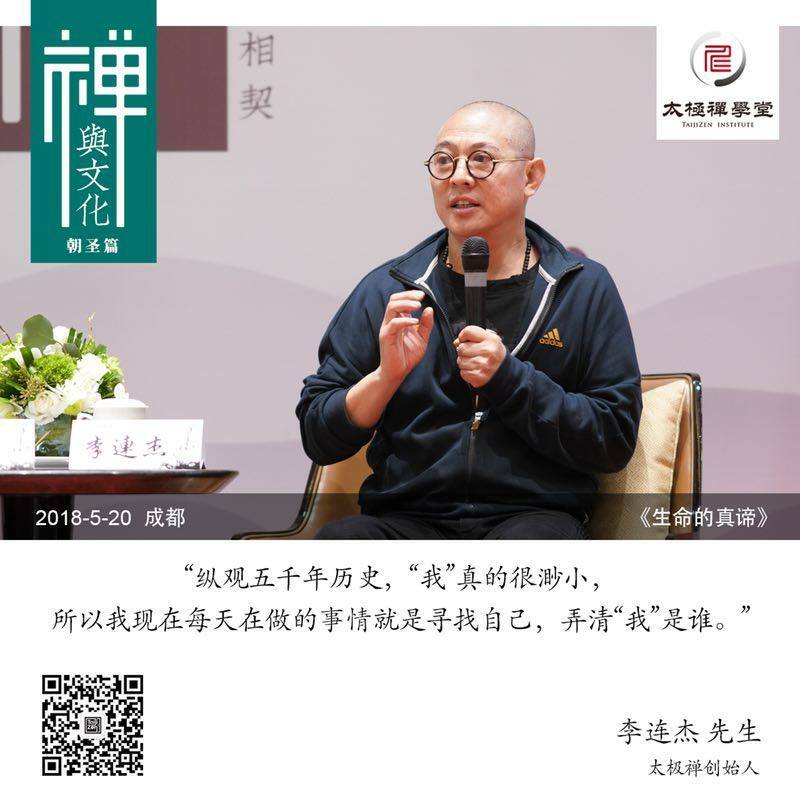 Although he is just 55 years old, many articles have commented that he looks unrecognizable, frail and well beyond his actual age. 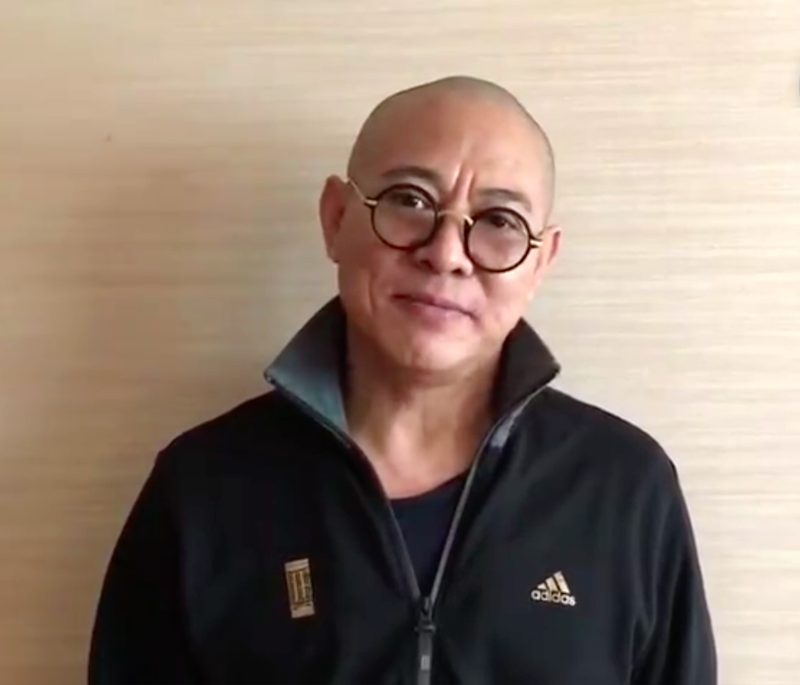 The actor's struggles with hyperthyroidism and spinal problems were widely-reported as well. 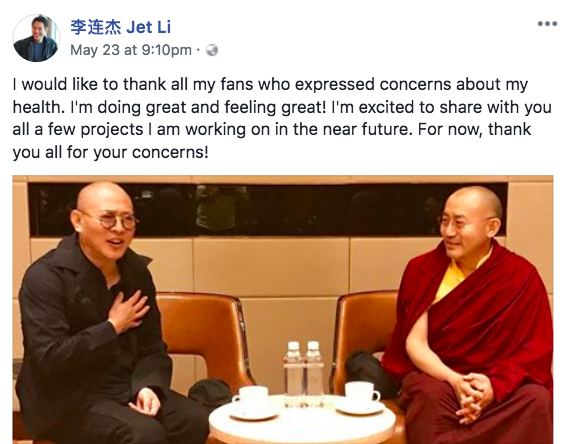 Jet Li finally breaks his silence on the matter so say that he is doing great, feeling great and keeping busy. He may not be doing movies, but he continues to participate in charity and social welfare activities. 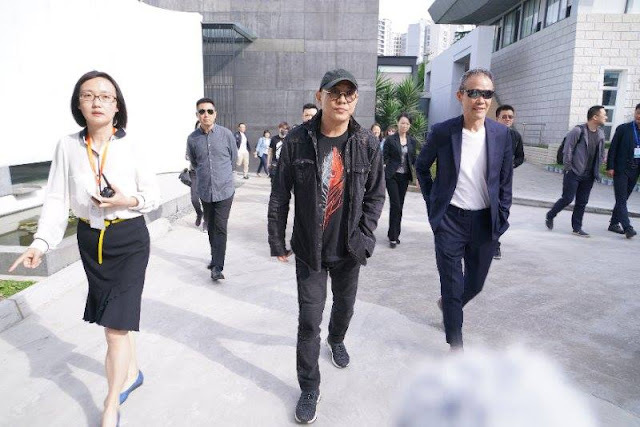 Honestly, I think the picture was overblown and probably a case of really bad lighting because he looks fine in recent pictures and not far from what an ordinary middle-aged man would look like. 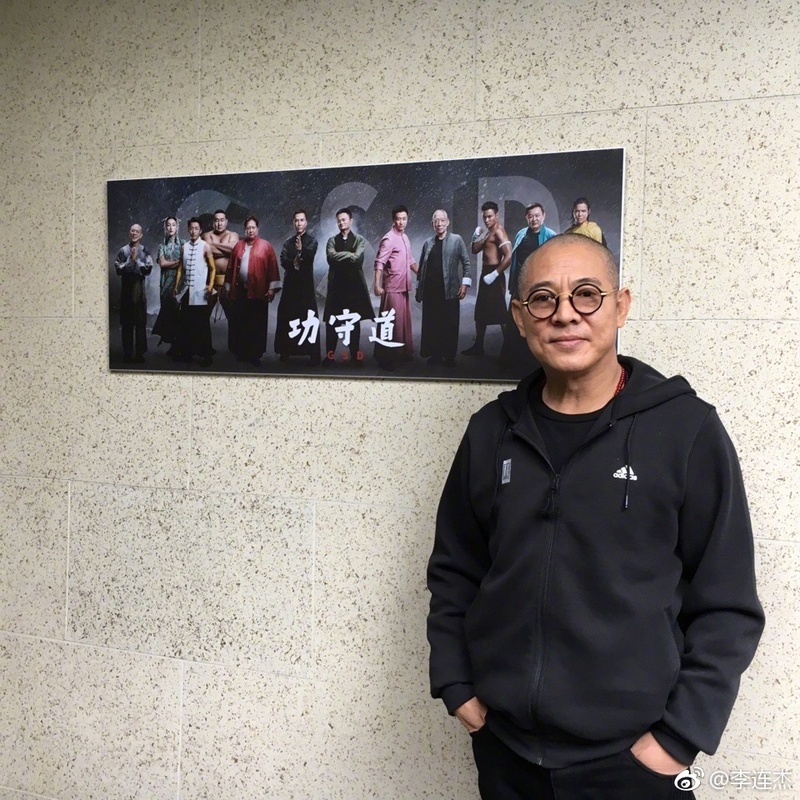 The actor continues to tackle his health conditions, and I genuinely hope for his recovery. 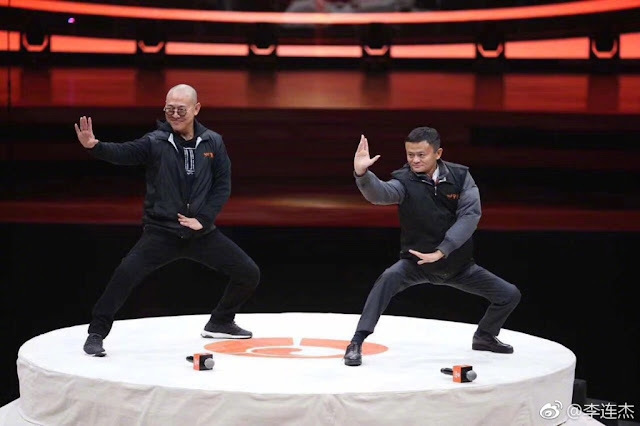 Just last year, he was exhibiting taichi to promote for the movie GSD that he co-produced with Alibaba founder Jack Ma.